Recent regulatory action from the Centers for Medicare and Medicaid Services (CMS) continues to shift healthcare decisions to the states and ease rules that were originally issued by the Obama administration in its implementation of the Affordable Care Act (ACA). 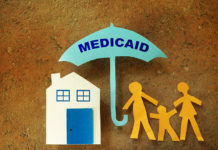 On May 7, CMS rejected a waiver request by the state of Kansas that would have placed a three-year lifetime limit on an individual’s Medicaid eligibility. In a speech to the American Hospital Association, CMS Administrator Seema Verma reiterated that the agency is still prioritizing policies designed to move people off Medicaid. However, other states that have proposed such limits (like Wisconsin) may seek a different ruling due to significant policy differences from the Kansas proposal. Meanwhile, Kaiser Family Foundation is tracking states’ appetites for implementing Medicaid work requirements. 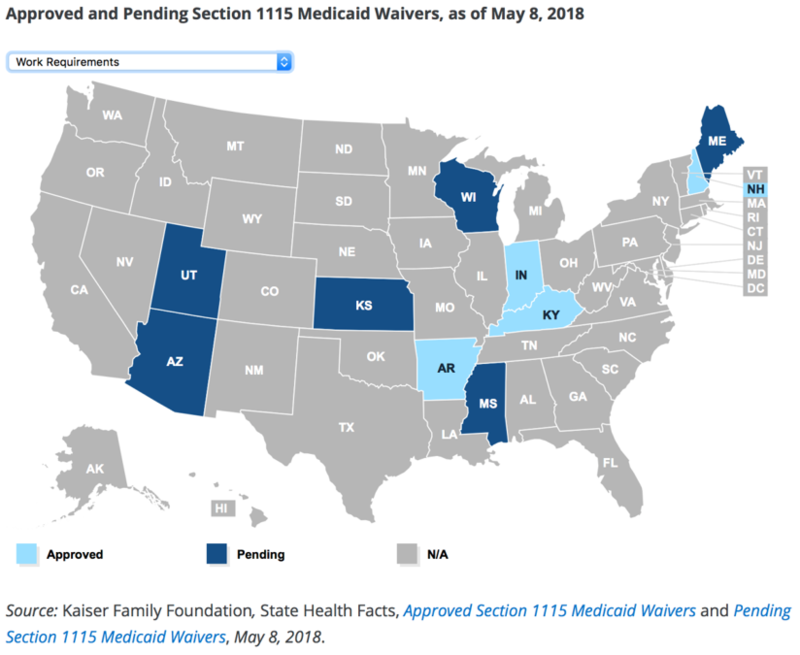 Currently, 10 states have applied for or received approval on Section 1115 work requirement waivers. The GOP tax bill in December repealed the individual mandate of the ACA, a move that the CBO estimates will increase the number of uninsured by 13 million in the year 2027. This is a somewhat controversial projection, as CBO has occasionally differed on the impact of the individual mandate in past projections. This month, former Department of Health and Human Services Secretary Tom Price told the World Health Care Congress that the repeal would also likely drive up premium rates because of lower participation from younger, healthier consumers. However, Price quickly claimed his comments were taken out of context and restated his support for repeal. In related developments, short-term health plans may soon become not quite as short. The Trump administration is reportedly formalizing an extension to a 12-month duration for these plans, four times the three-month duration established by the Obama administration in 2016. 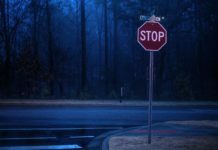 The new rule would also allow for reapplication, thus creating the possibility of continuous, uninterrupted coverage under plans the previous administration intended to last only 90 days. 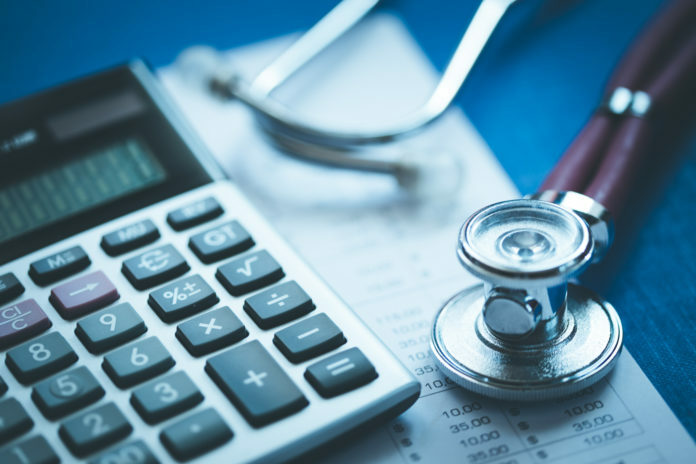 Finally, a CMS ruling from April would provide states with greater flexibility, beginning in 2020, to determine benchmark plans to guide Essential Health Benefits (EHB). 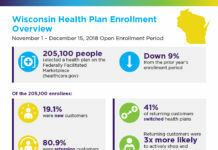 This rule does not eliminate any of the 10 EHBs codified under the ACA; regardless, some health policy experts expressed concern that the rule could lead to skimpier coverage for Marketplace consumers. As part of that same April CMS ruling, state insurance regulators would be required to review rate increases of 15% year over year, rather than the 10% threshold previously mandated by the ACA.